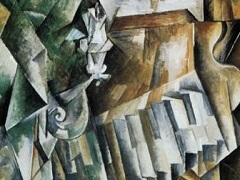 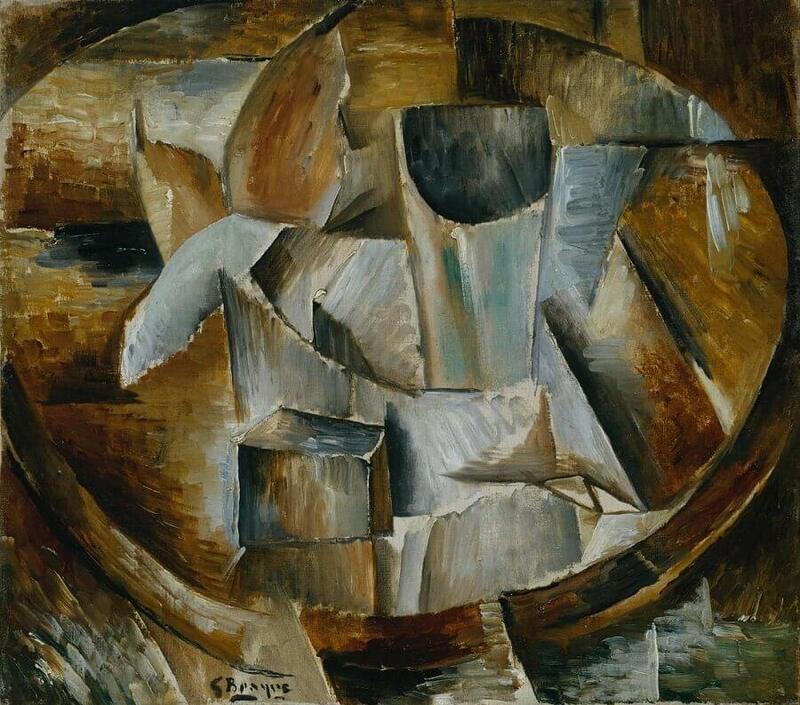 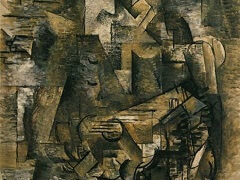 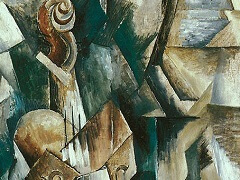 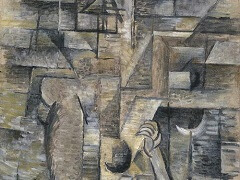 Instead of presenting the single vantage point of traditional painting, Braque and Picasso fragmented the object into a series of geometric facets and planes, which imitate the darting, fleeting nature of sight. 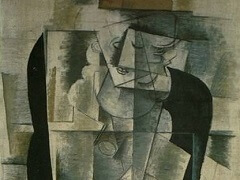 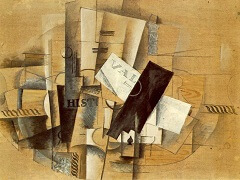 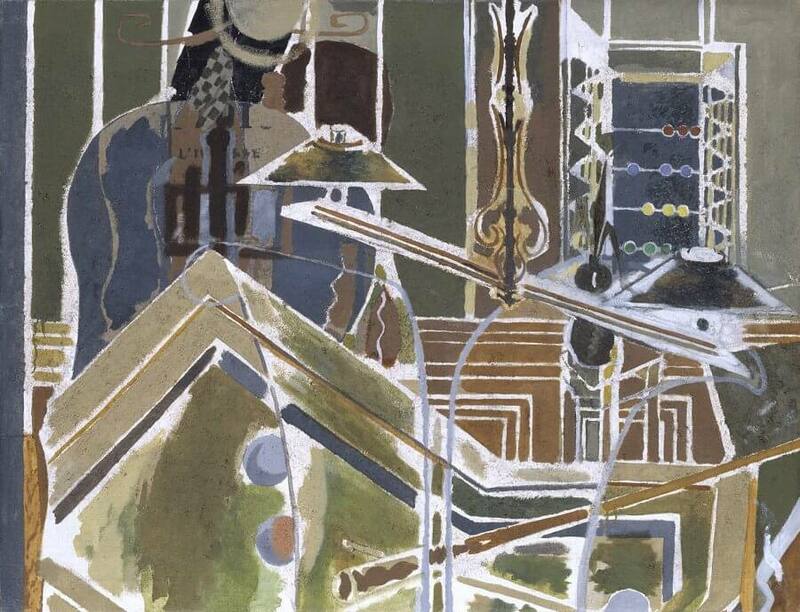 In this painting, the glass and pears on a table appear obscured by the scaffolding of vertical, horizontal and curvilinear forms. 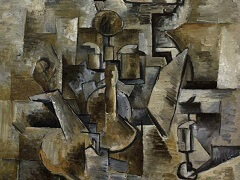 Braque believed that it was only by breaking up the picture plane that he could get closer to a true depiction of the object.